The story of the development of Lucas Museum of Narrative Art has gone on far longer than it was initially intended to, but the project may yet be close to a breakthrough. The museum, which is headed by George Lucas, is said to one day house items from the maker's extensive private art collection. 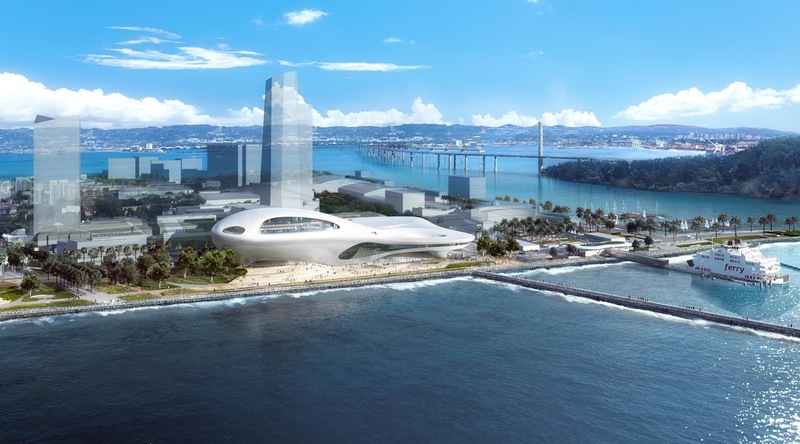 After previously attempting to break ground in San Francisco and Chicago, the museum's leadership has returned California with two possible locations in mind. 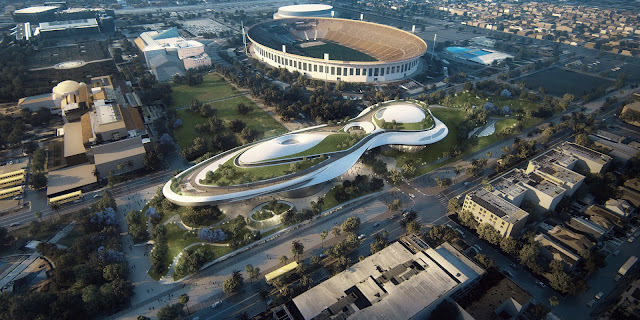 The Los Angeles Times reports that the Lucas Museum has revealed a pair of proposed designs for the project - one in Los Angeles and another in San Francisco. Lucas reportedly enlisted architect Ma Yansong to create the modern, sleek designs. Offering two designs to two different cities at once will hopefully prove to be a successful strategy for the museum, which has garnered mayoral approval in both locations. The San Francisco design(above) would be located on Treasure Island featuring a view of the city's skyline across the bay. It would be placed between a larger proposed district on the island and a possible ferry terminal. The Los Angeles location(below) would be placed in an area in Exposition Park along Vermont Avenue. It would replace two current parking lots and would feature an underground parking deck of its own, with the ability to host 1,800 vehicles. This building would include between 265,000 and 275,000 of square footage, while matching the dimensions of the San Francisco design. If you want to learn more about the progress of this project, be sure to read the LA Time's full report by clicking here! We certainly hope the Force is with the Lucas Museum so it can finally be made a reality. I am being selfish when I say that I hope it ends up in LA. That location is about 10 minutes from me and I could go all the time.